The Black-veined White flies from April to July in one single brood. 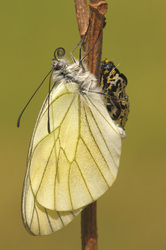 The flight is rather slow, with alternating gliding and flapping. The eggs are laid in large batches on the undersides of leaves and after two or three weeks they hatch. 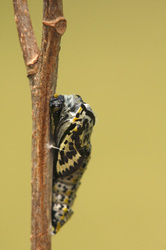 Te caterpillars quickly spin a web under which they all shelter. 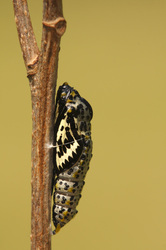 After the second moult (skin-changing) the caterpillars go into hibernation. 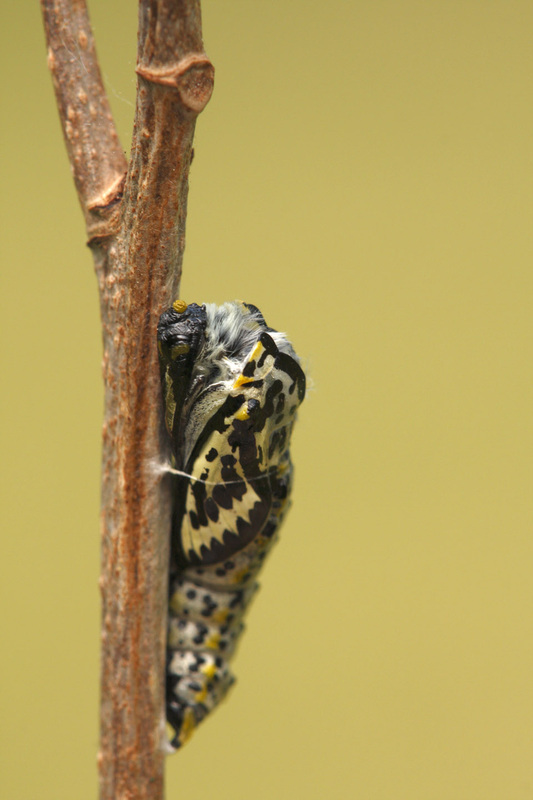 Waking in the spring, the caterpillars bask on the outside of the web and rapidly gain weight as they feed on the opening buds. 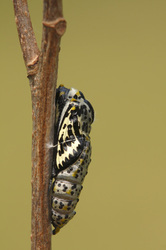 The chrysalis is yellow. 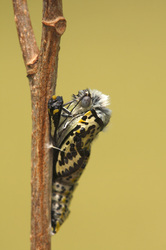 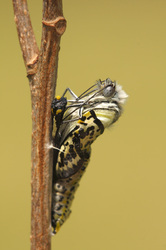 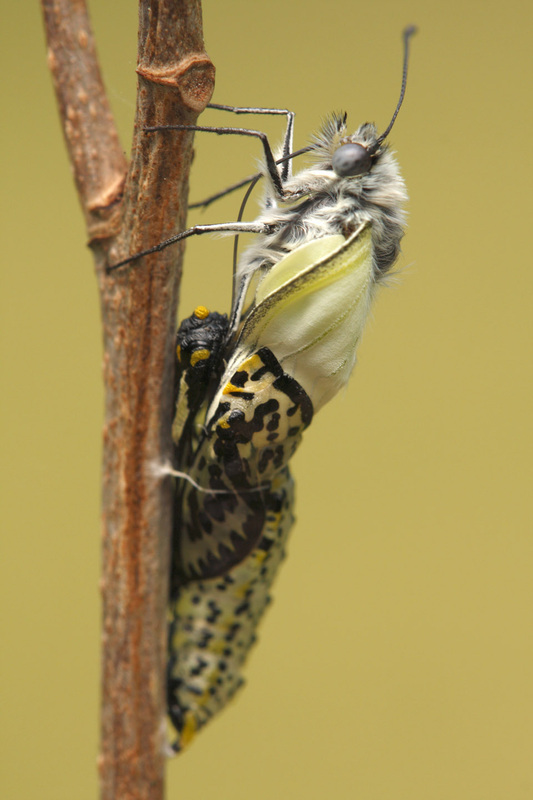 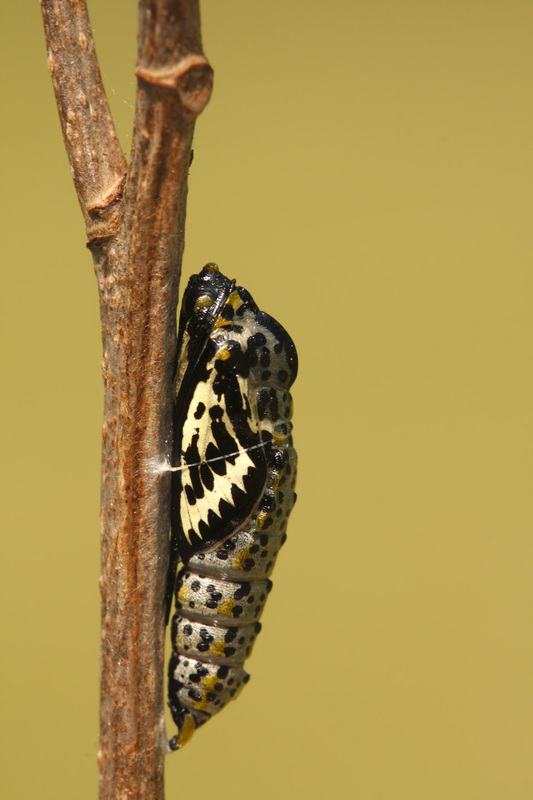 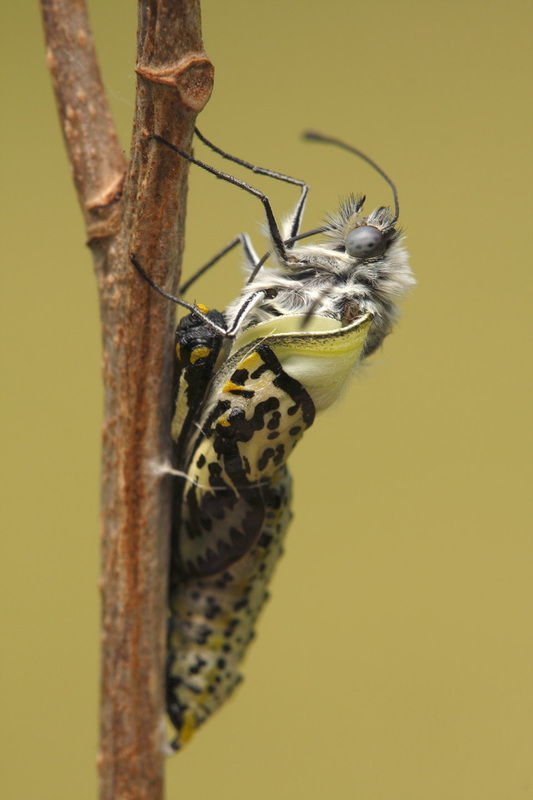 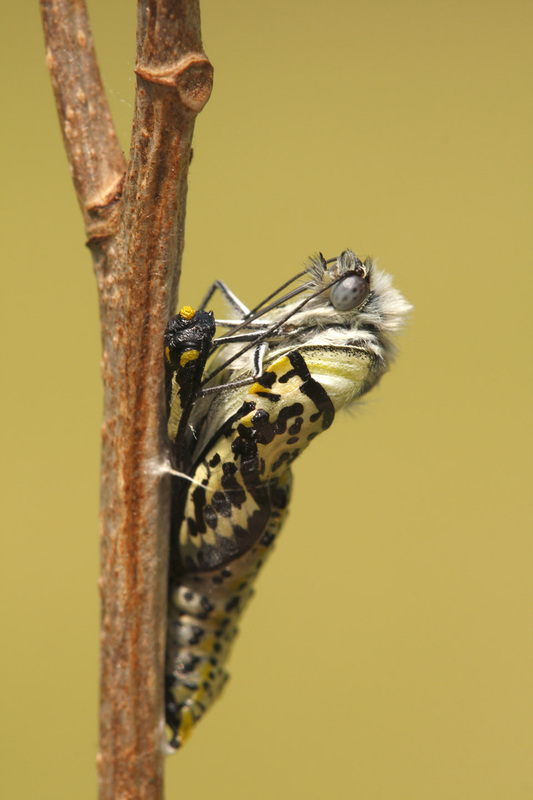 Adult butterflies emerge after about three weeks and may survive for eight weeks. In the past the Black-veined White was widely distributed but then it had disappeared and these days it's a rare guest in the Netherlands. 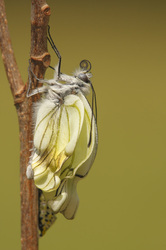 For photos of the other stages please link to my 'regular' page about the Black-veined White (Butterfly Gallery -> Pieridae).